StreetSmart Ireland, the brainchild of Brian Cuddy is off to its second year at the Tuscany Bistro in Limerick. Pictured are Maxine Amodo, Group Marketing Manager of the Tuscany Bistro and Brian Cuddy, Founder and Coordinator at StreetSmart Ireland. 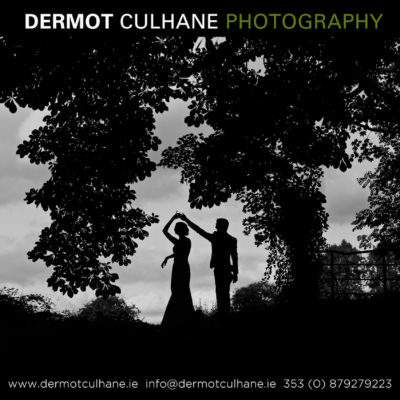 Picture: Simran Kapur/ilovelimerick. StreetSmart Ireland the brainchild of project coordinator Brian Cuddy has had a successful five-year run. Growing from strength to strength what started out as a small idea has grown immensely. Making its way into Limerick for the second year, StreetSmart Ireland seeks to provide support for those who need it most in society. With its heart in eradicating homelessness, the concept of StreetSmart Ireland is to grow and activate a proactive community within the hospitality industry to help bring about sustainable change for people experiencing homelessness. “Last year I nearly gave up, I was running the initiative out of my own pocket and even suffered from homelessness myself for a short period. I had a few cards with me, when I received calls, more and more people grew aware of this initiative and wished to get involved,” Mr. Cuddy said. Brian held on to his ideas and beliefs even in the toughest of times. 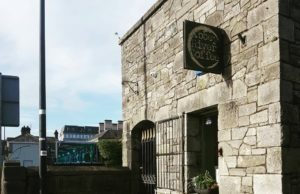 At a restaurant in Dublin, while celebrating her graduation Maxine Amodo, Group Marketing Manager at the Tuscany Bistro in Limerick first came across Brian’s initiative. The Amodo family headed by Sabrina Amodo have been in the hospitality industry for over 15 years. With restaurants across town, this family-run business has for years devoted time and energy towards making a difference in society. 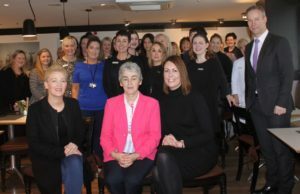 Maxine got in touch with StreetSmart Ireland over email and has ever since launched the initiative across their three restaurants in Limerick. This is their second year with the organisation. The initiative involves bringing restaurants and eateries together, bound by the common thread of making a difference. Over the period of Christmas customers and diners will be requested to add an extra €2 to their bill. This money would then be collected by restaurants and passed on to a local charity of their choice. The concept is to have a separate tally system for the money collected records of which are sent to StreetSmart Ireland. This money then is directly given by companies to their choice of charity. This way if the money is collected in Limerick, it stays in Limerick to make it a better place. 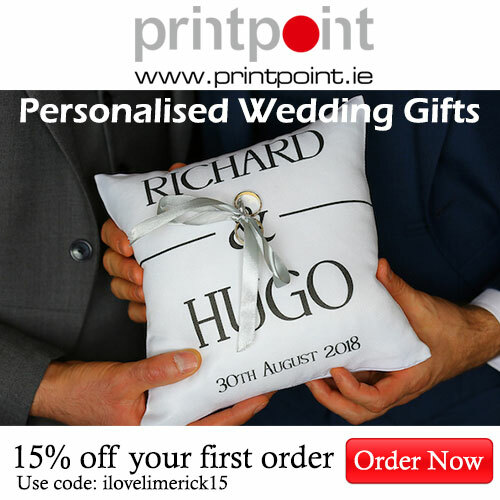 “I believe Christmas is great timing, families across Limerick will be engrossed in the season’s festivities. To be able to give back to the society this time of the year makes it extra thoughtful and special for all of us,” Maxine said. 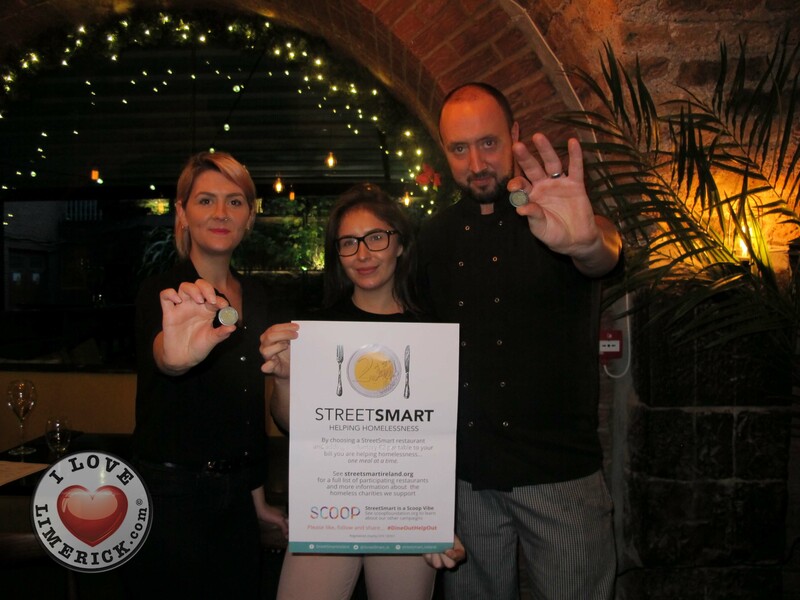 In order to have a proper structure, this year StreetSmart Ireland has joined hands with SCOOP. Their mission is to use creative fundraising to help the lives of some of the world’s most vulnerable people. Through the use of art, music and social events, the charity raises funds for essential frontline projects around the world. 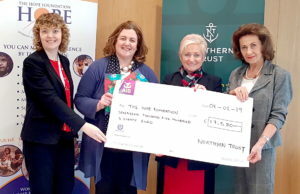 Whether it’s supporting doctors in war zones, street children in need of an education, homelessness on our own doorstep or psychiatric programs for displaced persons, like StreetSmart Ireland they believe in the power of local, positive fundraising to make a real difference. Now working under a structured charity group StreetSmart Ireland plans on growing their initiative across Ireland. Future plans include the launch of a coffee smart program, which will bring together local cafes in the quest for supporting local charities. 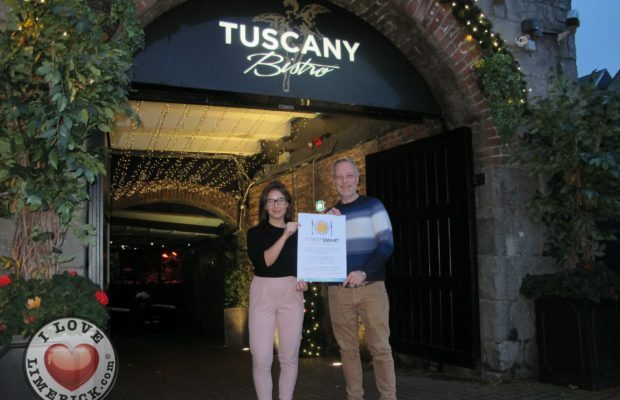 The Tuscany Bistro has launched this year’s StreetSmart Ireland program which will run through the Christmas season. Do drop by and help make a difference in society.